We have got a round-up of best Apple pencil case holder, after the nice looking best Apple pencil charging dock. Apple’s newly released digital stylus Apple Pencil is a worth and high profile than other third-party pencils. 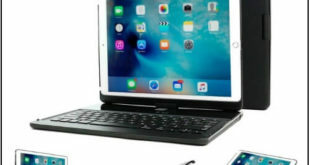 Undoubtedly, It was a bit expensive but has fraught with sophisticated technology and specially designed for new iPad Pro. So as of an owner of the Apple pencil, you are worrying about its care; right? Okay well, if you do not have time to go to the market to buy an Apple pencil case holder due to a tight schedule or busy job. Then we try here to give you great care keeper and perfect fit best Apple Pencil holder case. The cases that could expand your Apple pencil life and protect if it will accidentally fall down from the desk. 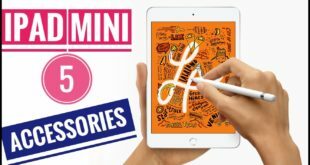 So lets a look what is the best Apple pencil holder case? We recommend mostly leather case holder for your Apple Pencil. Listed major cases are great for office time, home use and anywhere in occasions. This is the full-grain leather case for Apple pencil. 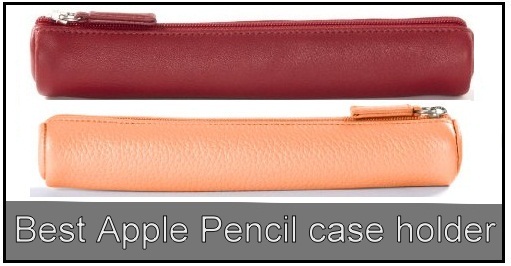 The leather case designed a Cylinder look for Apple pencil. This single case is available for sale in different fifteen colors so you can easily pick your favorite one. Does iPhone XR Work With Apple Pencil? The answer is here & So Why? It’s an Ideal case for Apple pencil, a charging cable, and the Apple Pencil adapter. The zipper glides smoothly every time. Protect now your Apple Pencil from dust, debris, and damage. Tip of the Apple pencil is not much hard so to survive place your pencil in a hard type case. Choose a good color Apple Pencil holder out of available 10 colors. It is a perfect accessory for Apple Pencil of Apple iPad Pro. 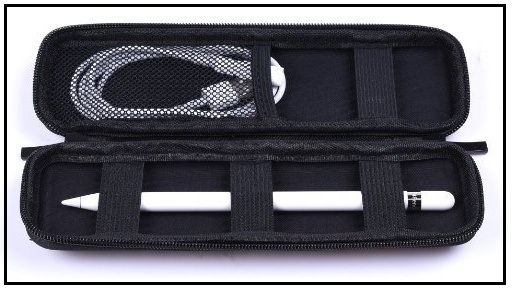 Share from your side even you’ve or found a best Apple Pencil case holder.